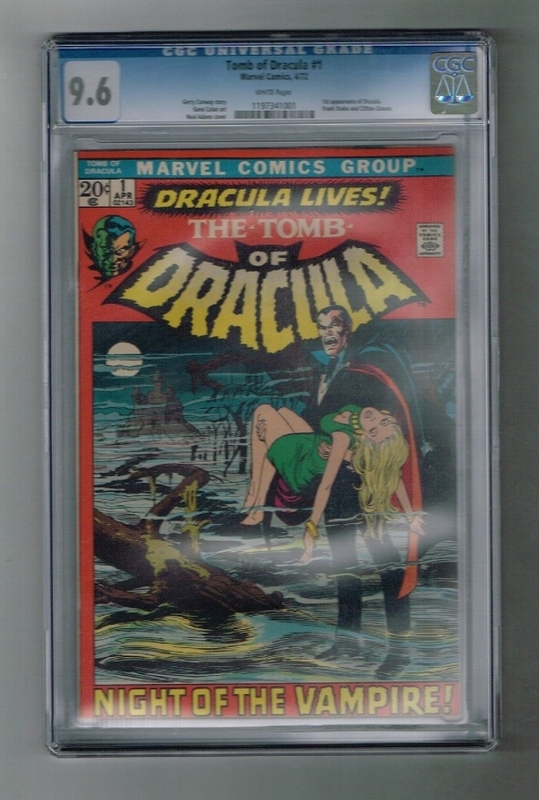 TOMB OF DRACULA #1 CGC Graded 9.6! 1st Dracula in Marvel continuity! 1st appearance of Dracula in a Marvel comic in "Dracula" Written by Gerry Conway. Art by Gene Colan. Cover by Neal Adams. When Frank Drake finds himself drawn to a mysterious castle in the mountains of Transylvania, he accidentally reawakens an ancient curse and unleashes a powerful force for evil onto the world. Dracula, Lord of the Vampires, stalks the earth once more! 32 pages, FC. NOTE: 1st appearance of Frank Drake.